If you’re building a CNC or laser, there’s an excellent chance you’ll be using Grbl to get moving. It’s also a pretty safe bet you’d end up running it on some variation of the Arduino sitting in a motor controller breakout board. It’s cheap, easy to setup and use, and effectively the “industry” standard for DIY machines so there’s no shortage of information out there. What’s not to love? Well, quite a few things in fact. As [bdring] explains, Grbl pushes the capability of the Arduino to the very limit; making it something of a dead-end for future development. Plus the Arduino needs to be plugged into the host computer via USB to function, a rather quaint idea to many in 2018. These were just some of the reasons he decided to port Grbl to the ESP32 board. Price wise the Arduino and ESP32 are around the same, but the ESP does have the advantage of being much more powerful than the 8-bit Italian Stallion. Its got way more flash and RAM as well, and perhaps most importantly, includes Wi-Fi and Bluetooth out of the box. 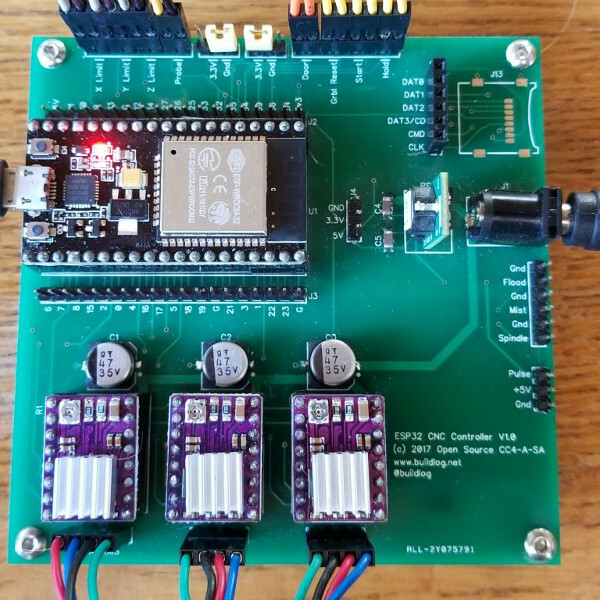 It still needs to be plugged into a board to hold the motor drivers like the Arduino, but beyond that [bdring] opines the ESP32 is about as close to the perfect Grbl platform as you can get. [bdring] reports that porting the code over to the ESP32 wasn’t terrible, but it wasn’t exactly a walk in the park either. The bulk of the code went by without too much trouble, but when it came to the parts that needed precise timing things got tricky. The ESP32 makes use of a Real Time Operating System (RTOS) that’s not too happy about giving up control of the hardware. Turning off the RTOS was an option, but that would nuke Bluetooth and Wi-Fi so obviously not an ideal solution. Eventually he figured out how to get interrupts more or less playing nicely with the RTOS, but mentions there’s still some more work to be done before he’s ready to release the firmware to the public. If you’ve been browsing Hackaday for a while you may remember [bdring]. He’s got a real knack for making things move, and has created a number of fantastic little CNC machines recently which have definitely caught our eye. GRBL developer recently stated that his ARM port is just around corner. I’ve been running the lpc1768/1769 Arm version for about a year now. Grbl-Lpc runs on the Smoothieboard and compatibles. It drives my CO2 laser. This reminds me, is there any effort underway to port/write 3D printer firmware for the ESP32? After all, software wise a 3D printer controller is functionally quite similar to a CNC controller. The ESP32 probably does not have enough I/O for 3D printing with the features generally desired, like SD card and display. I’d vager any low or medium speed I/O could be handled with shift registers. And display could technically be omitted in favor for the machine hosting a web page with the same info you’d find on a display. Smoothieboard is already a GRBL fork, too, for people who can stomach C++. Far to many people are giving FreeRTOS a bad rap like this guy because they don’t take the time to learn how to properly code an RTOS. Even TI uses FreeRTOS for their driver ecosystem. I like to run without it whenever I can, because an OS gets in the way when you don’t need one, but when you do need one FreeRTOS is usually the right one. The problem isn’t even just knowing how to “properly” code an RTOS; the problem is in their conception of the application. WIFI is timing-sensitive. The ESP32 has very limited resources. The application developer isn’t writing their own wifi drivers. Therefore, if you use wifi you don’t have a realtime application. You can reduce the cases where it bites you with lots of fiddling, of course. Personally, I don’t mind running two ICs, one for the wifi and GUI, and one for the machine control. And then since the machine control is only doing the one thing, it doesn’t even need an OS. But if I really wanted it on the same chip, I’d probably just shut off the wifi while commands are run, and then turn it back on. The actual start/stop buttons should be hardware buttons anyways for safety. How would this compare to Klipper? Klipper uses an Arm host to do the heavy lifting and commands the Arduino for the I/O only. My solution was to use an esp32 and an arduino. The esp is used to upload and manage the gcode file. The arduino directly runs the motor controllers. So esp will take the gcode, decode a large section of it, and create a large buffer of moves that it communicates to the arduino via a few pins. The arduino will execute the commands according to the timing given to it. It also communicates back via a buffer of moves it has completed, so the esp32 can display where the CNC is. The dual buffers mean the two do not need to be in sync to operate. They simply “talk” when they get a chance. Fred, Is it open sourced? I like this approach as.it will leave the solutions to be best of their own worlds, and leave scope.for future expansions independently. Why not put it on a git and open it up for others to help? 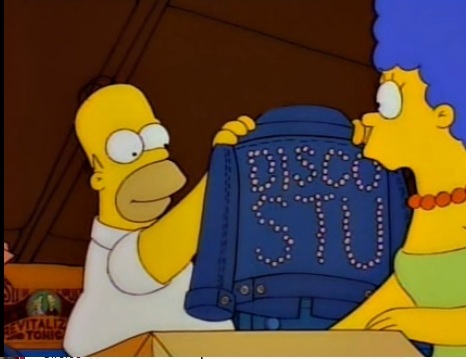 Hey: Disco Stu doesn’t advertise. You should look at my PSoC5 port. That is an ARM and the FPGA like features are perfect for CNC. You mean like linuxCNC/EMC2/Machinekit which is err, 18 years old? There will be no unification, grbl hobby machines are a tiny fraction of installed CNC base. hey can you tell me the lottery numbers for next week? oh you cant? i thought you could tell the future with your statement of certainty that there will be no unification… there might not be any unification as controller manufacturers add their secret sauce to make their controllers perform better but all it takes is an open source solution to provide equal or better performance for the CNC manufacturers to start using it. An arm based open source controller would have the potential to create a scenario for some unification, which has efficiency benefits throughout the entire process of commercial CNC manufacturing. But hey, maybe I’m just an idealist trying to figure out a solution that would benefit many people and solve a lot of headaches. Maybe i should have stated that having the RIGHT controller that is open sourced, but i didn’t expect someone to be so pedantic about my comment. After-all, if people never tried to improve or refine processes/products we wouldn’t have the world we have today or half of the chips we have today, the 486 would have been just fine, right? If the Arduino can do it, the ESP probably can so long as they get timing figured out. ARM is great, but aside from the single source issue, the ESP has a lot more options just because of its dual cores, WiFi, Bluetooth, etc. Using I2S would be a way better option for the ESP32. It will happily do 2 channels @ 32bit and 192khz per I2S port. Hook that up to a 32bit shift register and you can drive 16 steppers at 384khz and no jitter if you keep the buffers full. I’ve done something similar using the ESP32 to drive an I2S DAC to do motion control for laser galvos. The ESP doesn’t break a sweat without any tweaking at all. plugging it into usb? my pro mini runs via a HC-06 bluetooth ttl serial adaptor – i send stuff with UGSPlatform from a macbook air w/o issues.